Toor’s Blessing: Draconic script tattoos giving +2SB. Hardened: Immune to mundane horror. Unshakeable: +1BD to resist Shock and Fear. Leadership (3): may command passively up to 3 x Charisma Bonus of followers. Long ago, the dragon Toor (inferno in draconic), so full of hatred and anger, began to move on the world. Out of fear, awe or a hunger for power, peoples of all races, creatures of all forms joined his following. Toor's armies burned kingdoms, their brutality feared in the hearts of men a world away. With its favourites, the dragon shared its power, binding their souls to itself. Among them, a former prince of a kingdom burned, sworn into Toor's service. The prince was given the name Kulaan, (prince in draconic) as a mockery of his past life. Over time, Kulaan used his guile, his cunning and his shear brutality in slaughtering or ensuring the death in battle of the other favourites, winning Toor's favour and sharing in more of his power. The last of his threats were slain in battle against the armies representing what was left of the free world. Upon their death, Toor gave Kulaan a new name, Zokfaar (Highest in draconic), and made him commander of his armies. He corrupted his soul, sharing with him near invincibility and immense powers in battle. On the battlefield, Zokfaar was himself an inferno. Once a simple man without magical talent, the link with Toor allowed him access to some of the most awful abilities available. With his crimson blade, Yunok (Prism in draconic), and the unnatural strength through his soulbond, he could shear through waves of his enemies as if they were twigs, and breathe fire incinerating all in his path. To see Zokfaar in battle was death. In many cases, even his allies could not escape the flames. Nothing was left of the former prince. Many dragons fled or were turned to ash. Others resisted. Few were as powerful as Toor, and with the following he had built, no single dragon would dare challenge him alone. Not even the nameless Green, eldest of all dragons alive. The free peoples of the world allied behind the Green and his companions, and waged a horrific war. Entire civilisations burned and armies on both sides suffered incredible losses. However, Toor had been halted. Years passed. Every tactical manoeuvre cast by one side was blocked and countered by the other. Two great intellects, Toor and the Green fighting a war as much in their minds as on the battlefield. 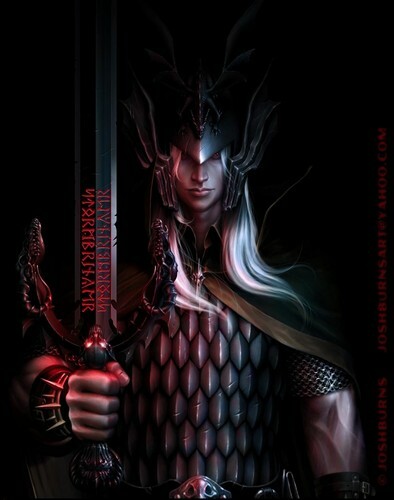 Zokfaar, sharing in Toor's abilities, won many victories that were balanced on the edge of a knife while Toor himself rarely engaged in combat. In the final year of the war, rumour grew of a weapon. Tortured prisoners screamed of an ancient power that could bring even Toor to his end. And the Green was searching for it. Zokfaar led a massive force, accounting for almost two thirds of Toor's armies, in search of the weapon while Toor himself attacked on the front lines. Through torture and spy work, Zokfaar was able to find where the Green was searching for the weapon. Far in unclaimed lands. Ambushing forces harried their approach to the site, but the sheer size of his army and tactical prowess made every encounter a carnage in his favour. It was dawn when Zokfaar led his forces over a crest to a sight unexpected. A solitary hill stood on an otherwise flat plain. Facing him was the opening of a huge cavern, like a gaping maw, which led down into darkness. The Green, a massive beast, lay motionless facing the entrance of cave. Zokfaar suspected a trap and closed his forces around the giant creature. Drawing closer, however, revealed huge warding runes embedded into the rock around the circular cavern. All of them discharged. Evidently the beast had tried to enter, and in doing so, been overwhelmed by the ancient magic that guarded this place. Zokfaar concluded that the weapon must have been hidden in the cavern. He led his army deep into the darkness. The cavern held a straight constant descent into the earth. Intermittently, he and his army passed through circular thresholds, embedded with the same warding runes as above. All were discharged. Zokfaar deduced that these must somehow connect the runes above with the source of power below. Hours passed before the cavern opened up into an enormous rectangular chamber, easily fitting the majority of his army. A part of him registered the unimaginable store of magic items that littered the floor and shelves carved into the rock walls but his eyes were fixed on something at the far end of the chamber. A huge hurricane of black and white winds trapped in what looked to be an enormous glass sphere. Walking up the central pathway, more of a street given the size of the place, his men and women filed in behind him, investigating the thousands of objects. Dozens of his people went up in flames, froze instantly or simply disappeared behind him as they accidentally triggered ancient relics. At regular intervals, the street was enclosed by circular arches displaying the same runes as the thresholds in the cavern. Finally he reached the giant, horrible sphere. Resting on a stone plinth as tall as himself it towered above him, twice the height of any city warehouses he had ever seen. In front of him, a collection of shapes impressed into the rock of the plinth. It took him a moment to realise that these were all handprints of a variety of races, many of them he did not recognise. Locating the imprint of the human hand, he looked back over his army once more and pronounced the world was theirs. He thrust his hand into the impression. The black winds above him spasmed. As the runes on the circle arches lit up, a voice, quiet and solemn, sounded in his head. "Zokfaar, it ends." The icy knife of dread pierced his stomach and in an instant he realised. The arches. They were a conduit from above. A conduit from the grave of an ancient dragon. A dragon who sacrificed itself to end the war. It was a trap. An awful, blinding green light split the black winds and the sphere exploded. The battle continued to rage around him. Another volley of energy soared towards him but he took no notice and began another assault. The bolts hit him, blasting through his wards and knocking him sideways. Shocked, he took flight, narrowly missing another volley. Something was very wrong and that's when he realised. Zokfaar was gone. He wasn't dead, nor was he dying, nor was he simply distant. He was gone. As if he had ceased to exist entirely. His soul bound creature was gone. There were fail safes in his bonding; in the case of Zokfaar's death, Toor's power would return to him. But Zokfaar was simply gone. No failsafe could account for that. On the horizon in all directions, a giant flight of dragons, young and old, steadily closed in around him. In his anger, Toor drew on every scrap of his magical ability and threw it at them. Daemons sprung up all over the battlefield and in the air around him. Reality twisted and he, as well as many mortals below and incoming dragons, was torn apart by the winds of magic. After what seemed like an eternity, Zokfaar gasped awake. Looking around himself he saw an empty chamber. His army was gone and so were the countless magical relics. The orb above was gone, as were the circular arches, and the only hand impression still visible on the plinth was that where his hand had been. He had been in stasis before, if for just a year or two and knew what it felt like to wake from it. This was slightly different, yet similar enough to know what had happened. How long had he been here? He could have missed Toor burning the world. Furious, he stepped towards the cavern entry and collapsed. Why did he feel so weak? Then, in a sudden moment of shear shock and bewilderment he realised the powers he shared with Toor were gone. And then he wept. He suddenly knew that the trap was meant to weaken Toor by shutting Zokfaar off from the outside world. The strange form of stasis had rendered him as if nonexistent. His army would have been burned away by the blast and the only thing saving himself were the powers given to him by Toor. A cunning trap if ever there was one. Zokfaar couldn't help but respect it, even if he resented it with every fibre of his being. Some time later, Zokfaar made his way to where the cavern had once been. A tiny hole led through the crumbled rock, clearly a passage used by tomb raiders and grave robbers. Hours passed before he reached the surface where the daylight blinded him. It was then that he realised Yunok had been taken and many of his own magical items robbed from his person. The only things left of his former life were his clothes and the first gift given to him by Toor; scrawling tattoos over his chest, arms and legs, making him marginally stronger than he had been. He set off. To find his lost possessions and regain his former power. He would see this world burned.